Having a healthy investment portfolio adds “peace of mind”, particularly when approaching or during retirement years. Having a diversity of investments is important in reducing risks and balancing out returns especially in the medium-long term. Gold is often ignored or not even considered in a portfolio. In this article, we look at the benefits of adding gold to a diverse investment portfolio. There is a myth that buying gold and storing it is difficult. This is simply untrue. Once you know how, buying gold is as easy as buying water. 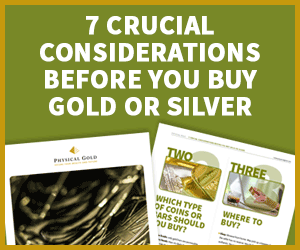 Look at our “how to buy gold” for comprehensive advice. If you’re in doubt give us a call at Physical Gold and we can explain the options. There are simply no reasons to eliminate gold from an investment portfolio based on “perceived” complexity of purchase. Many investors think of gold as a luxury item and “out of reach”, it’s not the case. If you visit our shop you’ll see gold coins for as little as £120 and gold bar prices from only £200. Investing in diverse financial products reduces risks and over the medium-long term generally increases gains too. It’s clear to see from history that the global economy moves in cycles, different types of assets will perform better at different times during this economic cycle. so to reduce risk it is prudent to spread investment across a range of financial products, some safe, some higher risk, some with higher levels of capital growth, some with higher dividend income, etc. The general thought is that low performing investments will be countered by high performing ones and overall the portfolio would deliver appropriate returns. UK households especially, have seen that even currencies aren’t safe with major swings being seen on £sterling since Brexit and also with Dollars and Euros across time. The idea that savings accounts and ISAs are the only or main investment/saving method is simply flawed, there are far more options, which add diversity, reduces risk and hedge against inflation. The mix of investment varies by circumstances, which is where an Independent Financial Advisor (IFA) can offer value. IFA’s will have a feel for the economic climate and are likely to vary the mix of investments accordingly. What % of a portfolio should be invested in gold and precious metals? Ask ten experts and probably receive ten answers! There are numerous reasons to invest in gold (which we list below). A major reason is safety and reducing portfolio risk as gold is classed as a safe form of investment. In general, we believe that a minimum of 5% and a maximum of 20% of a widespread investment portfolio should be in gold (bullion or coins). An IFA can advise based on personal circumstances, the exact mix will vary depending on returns required and level of aggression and attitude towards investment. Also, see our previous related article “The Benefits of Gold” for information on similar topics. So, if having read this article you’re interested in adding physical gold to your investment portfolio then call us today on 020 7060 9992. We are experts in the supply of gold coins and bullion and can advise on adding diversity through gold to your portfolio. We also sell silver too, which is another excellent way of diversifying your investment portfolio. Why not visit our contact us page and send us an email today to start discussions? This entry was posted in Blog and tagged Benefits of Gold, Gold Investment.